Want to learn how to bag your next Thanksgiving turkey? Or maybe you need a refresher course so your skills are sharp when spring turkey season opens April 13. 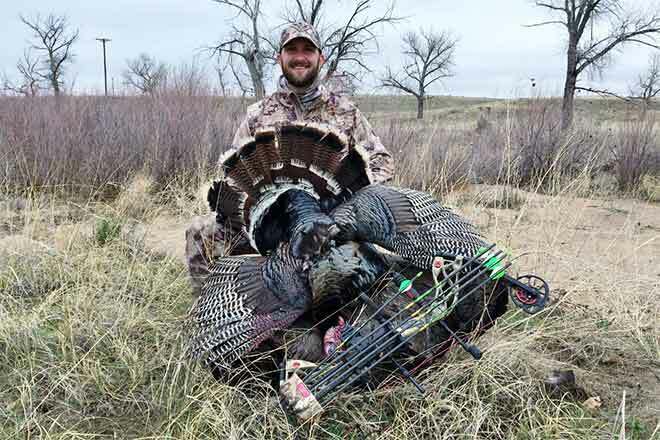 Then sign up now for Turkey Hunting 101, a Colorado Parks and Wildlife class scheduled for 6:00 p.m., Wednesday, April 10, at the CPW Southeast Region office, 4255 Sinton Road, Colorado Springs, 80907. CPW Area Wildlife Manager Frank McGee and the Pikes Peak Chapter of the National Wildlife Turkey Federation are hosting the free, three-hour class, which is open to everyone from novice to experienced hunters. Turkey-hunting experts will discuss turkey biology, teach participants how to properly execute turkey calls, cover the proper equipment needed, tactics for a successful hunt and tips for areas to find the birds. The class will be held in the Hunters Education classroom, which is entered from the rear of the building. For more information, contact CPW at 719-227-5200.